It was the first election the Congress contested with its present symbol, the open palm. The period preceding this election had seen tremendous excitement over the Congress’s first defeat (1977) but the victors could not stay united. Jagjivan Ram, the Congress’s SC mascot, had crossed over in the hope of becoming PM, but it was Indira Gandhi’s long-time detractor Morarji Desai who was sworn in. 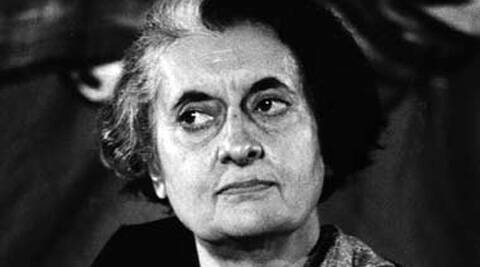 Indira, though out of power, still held the country’s attention. The Shah Commission launched against her by the government to examine emergency excesses did not bring political dividends to the Janata Party, which split as fiery socialist-trade unionists raised in Parliament the “dual membership” of the party, objecting about former Jana Sangh members maintaining RSS links after joining the Janata Party. Indira used these in persuading Charan Singh to throw his hat into the ring for the top job. He was sworn in with her support, but he could hold office only for a few months and early elections were called. It was also the first time assembly polls were delinked from Lok Sabha polls. On coming into office, the Janata Party government dismissed 10 state governments and made them go for a repoll. This broken cycle has an imprint that continues on today’s time-table. After Garibi Hataao, Indira Gandhi campaigned effectively on the slogan of stability. 3 Lalu Yadav not to celebrate Holi as "EC is watching everything"